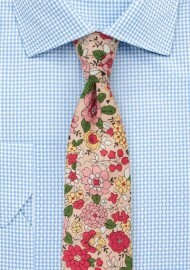 This summer floral tie features a lively print of colorful blossoms on a peach blush background. A great tie for jackets in tan, cream, navy, and stone. 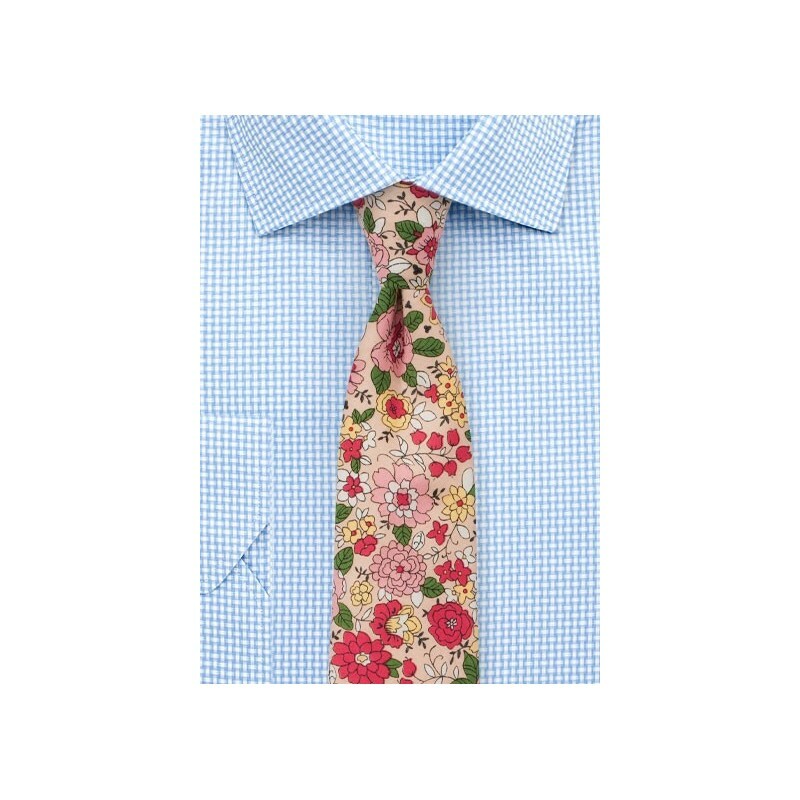 Our tip: Wear this tie with a blue vest, white shirt, as well as dark wash jeans or navy chinos. Handmade from printed cotton by neckwear brand BlackBird.